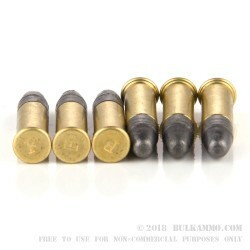 At Federal Premium Ammunition, all cartridges are equal, but some cartridges are more equal than others! 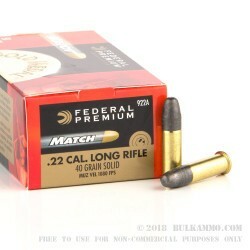 Such is the case with Federal Gold Medal’s premium match load in .22LR. 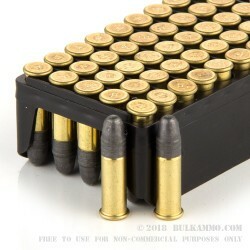 This ammunition is made to the quality standards of the company’s other products, and then some. Although the extra care taken in producing this ammo comes at a small increase in cost, competition shooters have long found the price premium worth it when pursuing the best possible accuracy. This “standard velocity” .22 Long Rifle cartridge propels a 40-grain bullet to a muzzle velocity of 1080 feet per second. 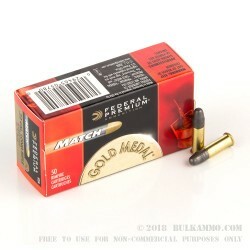 Federal Premium Ammunition manufactures cartridges for nearly every type of shooter on the market. The company was founded in 1922 and spent its first few years as upstart using then-novel marketing tactics such as selling ammunition in grocery stores. Since then, it has gone on to become one of the nation’s top brands. Today, Federal enjoys such a strong reputation for quality at a reasonable price that it was selected to operate the US military’s Lake City Army Ammunition Plant, succeeding longtime contract operators Remington and Winchester.